This program is designed specifically for beginners between 4-7 years old. 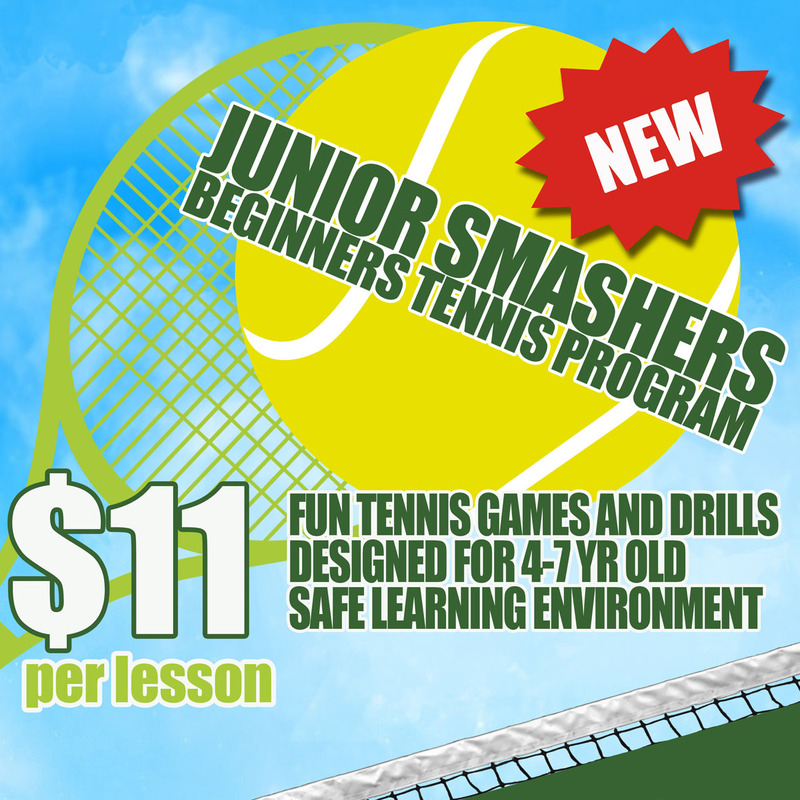 The aim of the program is to teach the fundamental skills of tennis with the use of fun and interactive games and drills. Call us on 0412 127 068 to find out more. Hi. My son just turned 7 and im wanting him to start tennis doing the "junior smashers". What days and times do you do? And have you got any placemats now, or is it best to wait for the new year? What would you suggest?